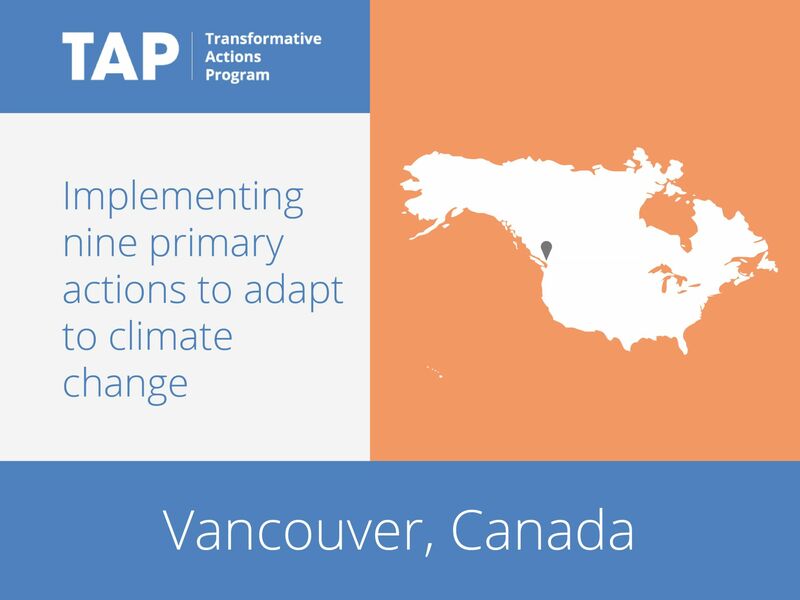 In 2012 Vancouver City Council adopted a comprehensive Climate Change Adaptation Strategy to ensure that Vancouver remains livable and resilient in the face of climate change. The landmark strategy recommends nine primary actions and over 50 supporting actions that the city can take to incorporate climate change adaptation measures into new projects and daily operations for all City business. These actions will guide how the municipality build and maintain city streets, sewers, infrastructure, parks and greenspaces to ensure that they are resilient to climate change.